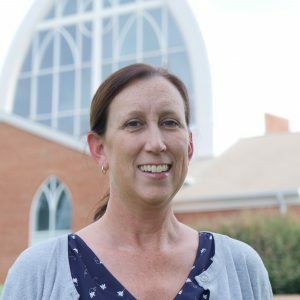 I joined the staff at Tyner United Methodist Church in 2014. I was hired as the Administrative Assistant at that time and in 2016 I also took on the role of Financial Secretary. I love working here because of all the wonderful people at Tyner UMC. I was raised in the United Methodist Church and as the daughter of a preacher I was at church every time the doors were opened. I am incredibly grateful to have had the opportunity to be brought up with the support of many churches in our area. When it comes to my faith I never had that “Aha! moment” that I hear so many people talk about when they make the choice to become a Christian. It has been instilled in me for as long as I can remember and will always remain a significant part of who I am. My husband Robb and I have 3 children; Bailey 25, Tripp 21, and Emma 14. After starting our family early I put off my education for many years. In 2016 I earned a B.S. in Psychology from Bryan College.